Kent’s Rental Allowance Matrix for Tasmania (as of March 2018) is now available for download. This matrix has been compiled to provide human resources departments with the data needed to make crucial decisions for assignees. A good relocation considers the needs of the assignee and the budgetary requirements of the business. We have filled this matrix with relevant, up-to-date and accurate information that gives human resources employees the information they need at a glance to place assignees in a location that supports assignees’ lifestyle. The best part about our Tasmania rental matrix is the breadth of data that it provides. For the various areas of Tasmania, you can view price averages for one, two, three and four bedroom homes. You can also find information on the number of parks in each area, vacancy rates and the predominant age demographics. For example, the rental property data for Hobart—Tasmania’s capital city—shows that there are seven parks spread over 2 square kilometres. There is a rental property vacancy rate of 0.7% and a predominant age group of 15-24 years. You’ll find this type of information for all key areas of Tasmania, including Launceston, Davenport, Burnie, New Norfolk and Georgetown. You can use this matrix to make instant comparisons between the different areas, comparing factors like vacancy rates, rental costs, age demographics and parkland availability. For example, if your assignee is a young, single professional, Hobart has a relatively young demographic. In comparison, Devonport has a predominant age group of 0-14 years, which means it is popular for young families. You can also see that the price for renting a one bedroom property in Launceston is lower than in Hobart. Both areas have similar age demographic, meaning HR departments can make a decision based on cost. The local knowledge we have gained after 70-years of working with Tasmanians. This rental matrix is provided as an aspect of our premier corporate relocation service. It is our goal to offer much more than just basic removals and delivery service. We strive to be your go-to resource for all aspects of relocation. The matrices complement a state-of-the-art and reliable approach to relocation that has provided clients with stress-free relocations for over 70-years. 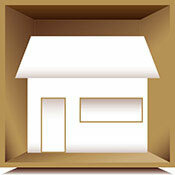 On top of this, each of our relocation packages is back by a 5-star Quality Service Guarantee.